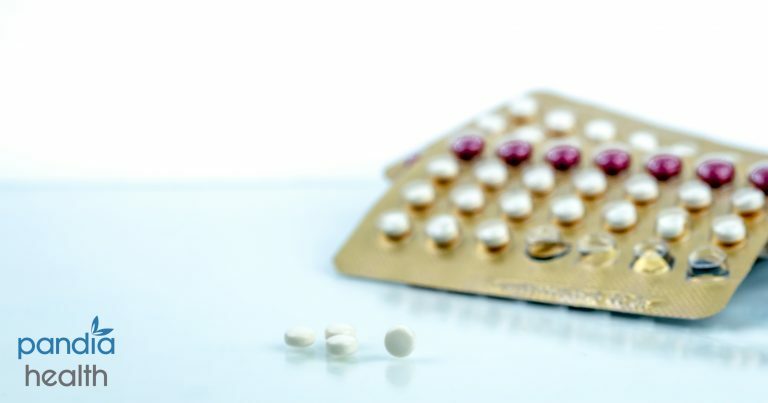 About 16% of U.S. women of reproductive age use hormonal birth control pills to prevent pregnancy. But, 7% of those women use hormonal birth control pills strictly for health reasons. Although the pill is highly effective at preventing unintended pregnancy, it offers numerous other health benefits, too. Taking birth control pills can help to regulate hormonal swings and imbalances that can cause an array of different symptoms that interfere with day-to-day functioning. The following article will discuss how hormones cause mood swings, and in which situations the pill can be used to prevent them from happening. How do hormones affect someone’s mood? From the onset of puberty and through menopause, women will experience cycles of hormonal fluctuations that affect mood, reproductive processes, and brain chemistry. It’s possible that these constant hormonal fluctuations that are a natural part of being female may explain why women are at higher risk of experience mood disorders such as depression and anxiety. Women are also subject to experience PMS in the week leading up to menstruation, and in more severe cases, a condition called premenstrual dysphoric disorder or PMDD. Unlike PMS, PMDD is a debilitating condition that can severely impact a woman’s mood and put her at higher risk of suicide attempts. Research on PMDD shows that roughly half of all women’s suicide attempts are made with the first four days before or after menstruation. Women with allergies and skin disorders are also prone to flare-ups around the time of menstruation if they have PMDD. PMDD is known to affect between 3% and 8% of all women of reproductive age. Symptoms usually start in a woman’s twenties, and symptoms can worsen during perimenopause. What are the causes of PMDD and severe hormonal mood swings? There is no exact known cause of PMDD. But current research suggests that a serotonin deficiency may cause PMDD and hormonal mood swings around the time of menstruation. Serotonin is a naturally occurring neurotransmitter found in the brain. It is used to regulate feelings of mood and well-being. A lack of serotonin can also be seen in people who suffer from depression. Who is at risk of experiencing severe PMDD mood swings? Women with a history of severe PMS symptoms, and who also have a personal history or family history of depression or postpartum depression may be at higher risk for experiencing PMDD symptoms. What is the difference between normal mood swings and PMDD? Around 90% of all women of reproductive age experience some form of PMS, including mood swings. For most women, these symptoms are mild and do not interrupt their day-to-day functioning. But for women with severe moodiness and other PMS symptoms, this can be a sign of PMDD. PMDD is diagnosed if symptoms are problematic enough to disrupt daily functioning. A doctor will need to establish a pattern of symptoms to determine if hormonal swings associated with PMDD causes them, and also rule out other physical or psychiatric symptoms that can mimic PMDD symptoms. How can birth control alleviate mood swings? When mood swings and severe PMDD symptoms are a direct result of hormone fluctuations, oral contraceptives can help decrease the severity of mood swings. Birth control pills help to regulate hormones so that women are not subjected to wild, sudden and severe fluctuations that can cause painful and uncomfortable symptoms. When a woman is not taking the pill, her body will naturally produce estrogen within the first half of the menstrual cycle. During this time, estrogen tells the uterus to create the endometrial or uterine lining. The endometrium is where a fertilized egg will implant and form the placenta. When estrogen hits peak levels, one of the ovaries will release an egg. Once an egg is released, the body will produce progesterone hormones, which signals to the uterus to stop growing the endometrium. If the egg is not fertilized, then both progesterone and estrogen fall. Once those levels bottom out, it signals to the uterus to shed the endometrium, thus resulting in a period. Unfortunately, some women are more sensitive to these changes in hormones and will experience PMS and PMDD symptoms. But taking oral contraceptives can diminish these hormone swings. How does the pill change hormone cycles? A majority of birth control pills contain both synthetic estrogen and progesterone, and the pills are formulated to stop ovulation. The pill starts by releasing steady doses of estrogen with no peak levels, so the ovary isn’t signaled to release an egg. The pill then starts to deliver a regular dose of progesterone, so the uterus doesn’t grow the endometrium. With the pill, not only is an egg not released, but the uterus remains inhospitable to implantation. Finally, the pill is given as a placebo for the final week of the cycle, inducing a period. This is referred to as withdrawal bleeding because it is the body’s reaction to a loss of hormones. With a steady dose of hormones via the pill, women won’t experience intense hormone fluctuations. Can the pill make mood swings worse? Every woman is different, so it’s important to try different hormonal contraceptive methods until a woman finds one that works for her specific biochemistry. Some studies show that women with a history of depression have a slight chance of experiencing worse moods when taking an oral contraceptive. It’s crucial that women let their doctors know if they have a history of depression before trying the pill or switching contraceptives. In most cases though, low-dose combination birth control pills will not cause mood swings. It’s now simple, fast, and affordable to access birth control pills from the comfort of your own home. Contact Pandia Health today to see what birth control options you can use to alleviate mood swings and PMS discomfort.